Hmmmmmm Jason47 broke the news about Days of our Lives casting lookalikes for Eileen Davidson and Blake Berris. Looks like the Eileen lookalike got cast. 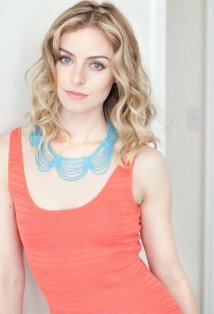 You can read the blog from the actress Eva Swan here. Eva Swan really resembles Eileen Davidson. but can she act. She has big shoes to fill. Eileen Davidson has proved she is a great actress portraying Kristen. ^ She isn't replacing Eileen Davidson's role. The producers don't want Eileen to leave. Also here's a video reel of her's http://vimeo.com/59975421 I think it shows that she will be offered a contract not long from now. Davidson left DOOL 4 months ago. She did this because of family issues.